Hanoi (VNA) – The US government handed over to Vietnam a training facility and equipment serving the training of peacekeeping forces at a ceremony on August 28. The facility (named S5) has 15 training rooms able to accommodate 600 learners at the same time, and a 254-seat conference hall. Meanwhile, the package of equipment will be used for training in setting up a level-two field hospital by the Vietnamese peacekeeping force, which is scheduled to run in Bentiu, South Sudan, replacing the UK’s facility in the second quarter of 2018. 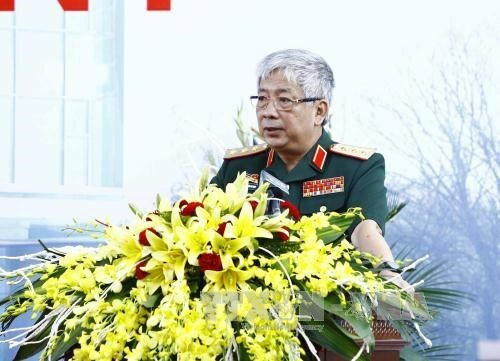 Deputy Minister of Defence Nguyen Chi Vinh said the Vietnam – US defence cooperation has strongly grown over the past years, with the field of peacekeeping being a good example. He affirmed that the equipment and facilities provided by the US and other nations will help turn the Vietnam Peacekeeping Centre into a key facility for peacekeeping operation and training in the country and region.